What to write about came to me pretty easily, as I was always fascinated with the dynamics around the primary school gates with mothers and playground politics. Of course all my writing was fiction with a huge heaping of one-liners. After self-publishing A Year in the Life of a Playground Mother, I was amazed to see it rocketing up the Amazon charts reaching no 1 in its category and no 11 for Kindle downloads. The reviews were amazing, calling it ‘witty’ and ‘laugh-out-loud funny’. Before I knew it, my wacky village characters were appearing on the page in a sequel, The Misadventures of a Playground Mother. My third novel, Kitty’s Countryside Dream has just been released. It introduces a new set of characters centred around love and genuine friendship, with a few chickens added in to the mix. And, I’m working on a completely different novel that’s due to come out in September. It’s been an amazing experience – especially since signing with my agent and Bookouture. I’m attending events and meeting many authors whom I’ve admired for years. Through my social media presence I was approached by the Zuri Project, a charity that supports development and community well-being in Uganda, working with UK celebrities to make a difference. 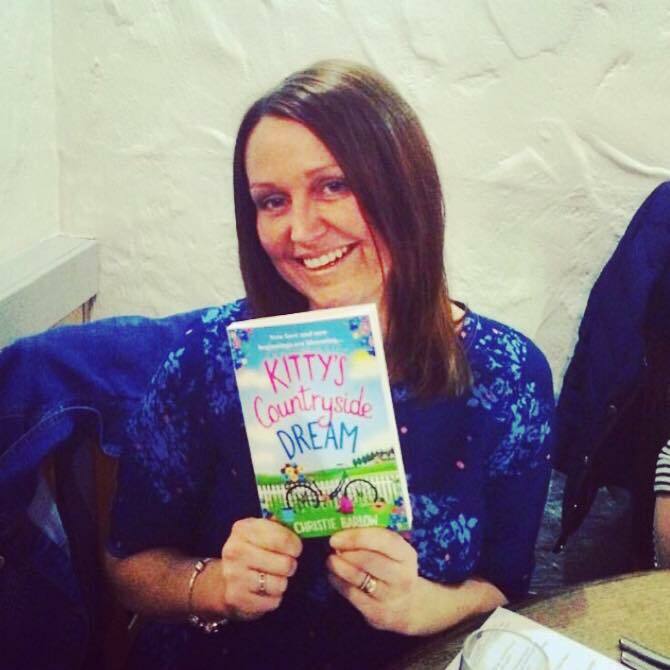 You can buy Christie’s latest book Kitty’s Countryside Dream here and follow her on Twitter here and Facebook here.